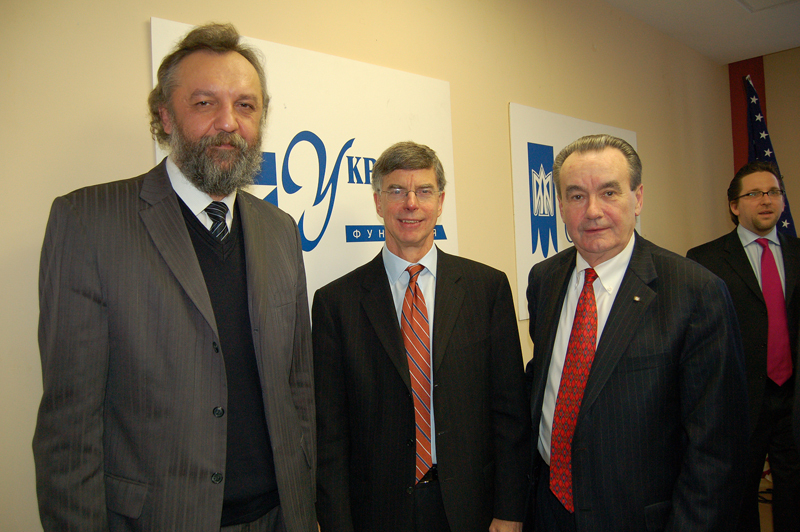 KYIV - An overflow crowd of U.S.-Ukraine Business Council (USUBC) members and guests listened on Friday, December 7th, as U.S. Ambassador William B. Taylor, Jr. explained recent successes and failures in the United States' government attempts to have a positive influence on the business climate in Ukraine. Taylor pointed to the increasing number of American businesses that are making substantial investments and sales into Ukrainian business and industry and described the continuing problems faced in certain areas. The ambassador made specific reference to Pepsi, Holtec, Vanco, SigmaBleyzer, Boeing, Bunge, Horizon Capital, Shell and Marathon as having made recent major investments or sales in the Ukrainian market. 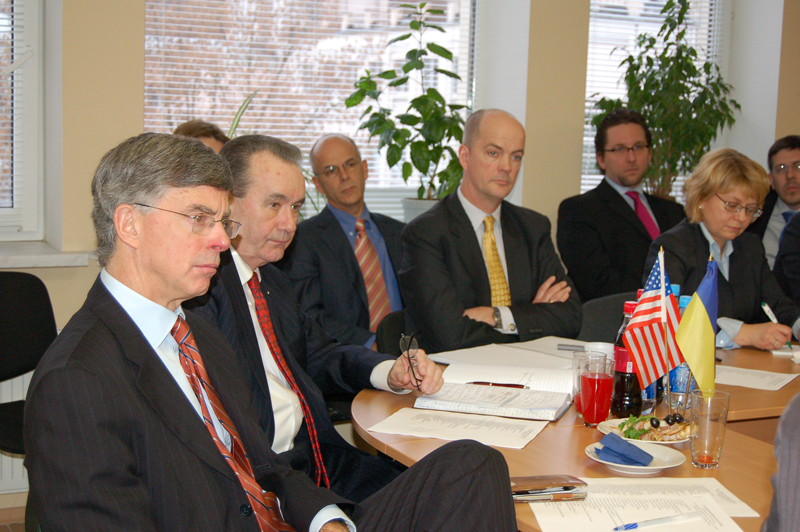 The meeting, held in the conference hall of the U.S.-Ukraine Foundation (USUF), also heard a top Ex-Im Bank official, Nikolay Oudovichenko, announce that Ukraine's State Export-Import Bank is opening a representative office in New York with the primary function of facilitating increased investment of Ukrainian capital in the United States economy. Oudovichenko went on to explain many of the innovations that have put The State Import-Export Bank of Ukraine on the leading edge of state-owned banks in the former Soviet Union. Taylor was decidedly upbeat about recent developments in Ukraine, particularly in moving Ukraine even closer to accession to membership in the World Trade Organization (WTO). Taylor expressed his confidence that in spite of a late roadblock put up unexpectedly by the European Union on the issue of export licenses, there is an outside chance of WTO membership becoming reality in the last few days of 2007 or at least by early 2008. There was a consensus that the failure of the government to make VAT refunds in a timely fashion is one of the major problems that has a very negative effect on U.S.-owned and Ukrainian businesses at all levels. While U.S. businesses that export from Ukraine are owed sums that exceed $200 million, there is at least another $100 million owed to smaller U.S.
and Ukrainian firms that are less able to stand the loss of expected VAT refunds. Taylor assured all council members that he has continued to meet with Mykola Azarov, the first deputy prime minister and minister of finance, who has oversight in this area, and will meet with Azarov's successor as soon as a new government is in place. Taylor also indicated he had meet with other top officials in the Ukraine government about the OPIC issue. 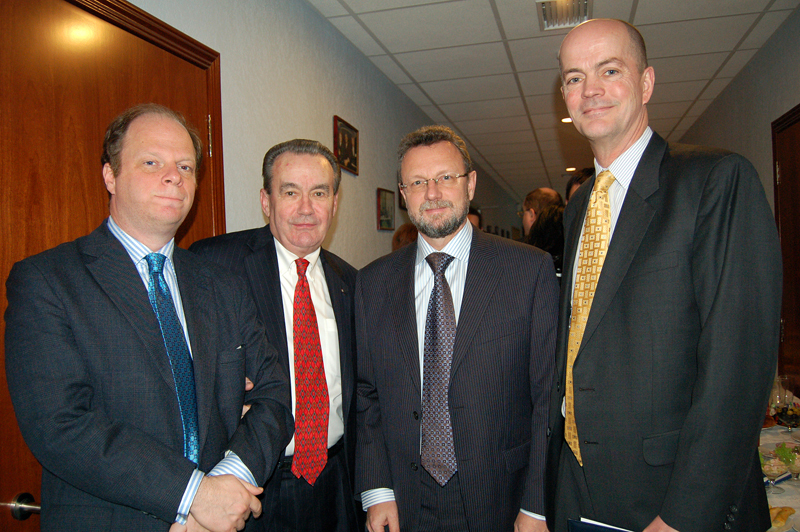 USUBC President Morgan Williams, with SigmaBleyzer in Washington, raised the continued problem of the U.S. government's Overseas Private Investment Corporation (OPIC) being closed for loan guarantees and other benefits to Ukraine since 2005 because of the Ukrainian government's unwillingness to find a solution to a relatively small judgment involving only $17 million. As Williams pointed out, solution of this problem could open up several hundred million dollars of U.S. equity investment funds, in addition to loan guarantees and political risk insurance. All parties agreed that this problem would be near the top of the agenda with the new government when it is constituted. The Ukrainian customs service was another matter that concerned many of the business executives and owners participating in the meeting. A new USUBC member, the express delivery service UPS, pointed out that the company has more trouble entering priority packages into Ukraine than any other country the company serves. Because of outdated Soviet-era thinking in the customs service, still having total control over every package, UPS has had instances of desperately needed parts being delivered to Ukraine within one day, only to take two to three weeks for customs clearance. Ukrainian officials recently rejected a suggestion that Ukraine adopt the random sampling method that has proved so successful in streamlining customs operations in Europe. As has been the case in the Council's several previous meetings with Taylor, there was discussion regarding the continuing problems in dealing with the Ukrainian court system. Some of the law firms that are members said they continue to have immense difficulty in operating in the court system, since United States law prohibits many of the practices that are common in Ukraine. LINK: http://ukraine-observer.com/index.php?c=641 with three photos.